In recognition of his achievements and contributions in the credit and risk management industry, Total Credit’s Director – Receivables & Collections, Gordon Yuen received the “2013 Credit Management Excellence Award (CMEA)” from the Hong Kong Credit and Collection Management Association (HKCCMA). The HKCCMA Credit Management Excellence Award (CMEA) is designed to recognize the achievements of an individual in the credit and risk management industry. Award winners are selected based on several criteria including extensive credit and collection knowledge, significant contributions and pre-eminence in the practice of credit and risk management. Gordon Yuen has worked in the field of receivables and collections for over 20 years and is considered to be one of the leading experts in the credit and collection industry. Prior to joining Total Credit, Gordon Yuen was a member of the Royal Hong Kong Police (RHKP) for several years. 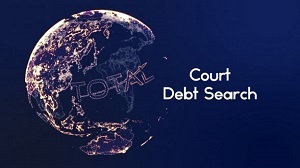 After leaving the Royal Hong Kong Police, he initially joined one of the leading debt collection agencies in Hong Kong, before moving to Total Credit, where he has been able to utilize his extensive investigative skills and experience. He has been a Fellow Member of the HKCCMA since 2010.